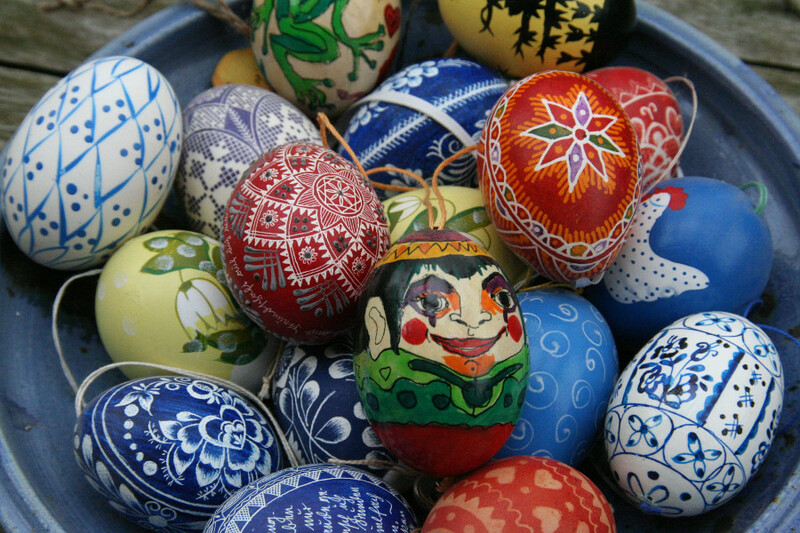 Easter is popular in Europe and many countries and cities have special Easter markets or events to mark it. Other areas have different Easter traditions that will make your Easter holiday memorable. Here are the best Easter holiday destinations in Europe. As you’ll easily notice, some are popular places to celebrate Easter in Europe, while others may become surprising destinations for your Easter weekend. There are 2 times when Easter is celebrated in Europe. Yes, 2 Easters – if you’d want. That’s because we have the Catholic Easter and the Orthodox Easter. Sometimes the Catholic Easter and Orthodox one are in the same day, while in other occasions – as in 2018 and 2019 – there are only one week apart. There were years though when there was even a month in between. It has to do with the different method used to set the Easter date – Gauss formula – and different church calendar: the Orthodox Church uses the Julian Calendar, while the others use the Gregorian calendar. In the end, what is important to know, is that when deciding where to spend Easter in Europe you should first research the specific date for the country you plan on visiting on your Easter trip. For instance, as Romania is a orthodox country, we celebrate it on a different date than Italy – a catholic country. You can even take a Easter road trip and experience different religions and Easter traditions, if you plan ahead. Easter is a special celebration in Europe. If you are wondering how is Easter celebrated in Europe, I have to tell you that it varies, from country to country. As you can imagine, Italy has huge events; Spain has Semana Santa; other countries have special processions, the tradition of chasing eggs in gardens, Easter markets, and so on and so forth. 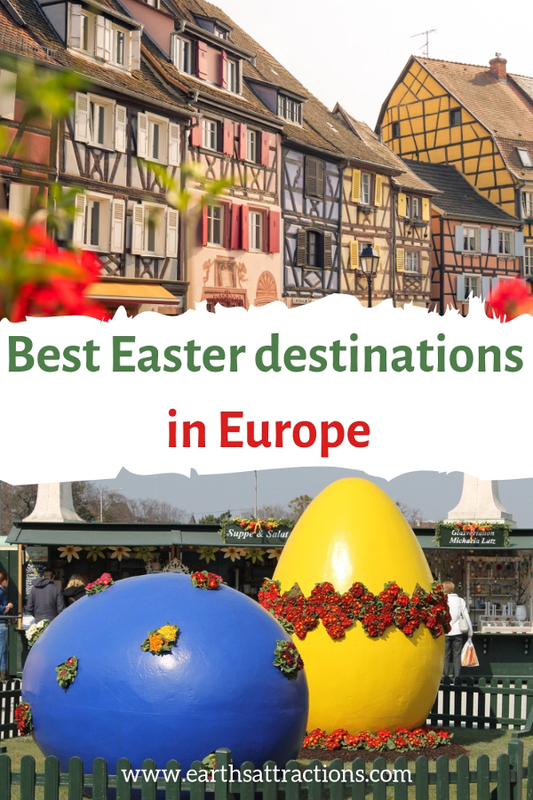 If you are looking for great Easter travel destinations in Europe, use the recommendations below when planning your Easter holiday. 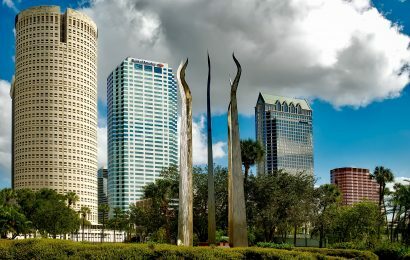 Whether it’s a Easter weekend city break or a longer Easter vacation, here are some wonderful places to choose from, depending on your preferences. A great list of the best places to spend Easter in Europe simply has to include Italy – and especially Rome. As it’s spring in Rome the weather is a bit warmer. Easter in Rome is a special moment to discover the city – as the churches have their special ceremonies for Mundy Thursday, Good Friday, as on Easter Sunday. The local food is a great addition to this special period. 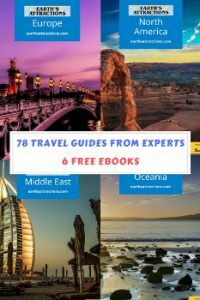 So, book your trip to Rome and take advantage of your trip to Rome to also visit all the amazing Rome attractions – use this complete guide to Rome to make sure you don’t miss a thing! Yes. There is a cart that “explodes” in Florence on Easter Sunday. This folk tradition in Florence is called The Scoppio del Carro (“Explosion of the Cart”). So, if you want to experience an interesting Easter tradition, then plan your trip to Florence now, book your hotel in Florence, and enjoy! Paris is an amazing city and April is a good month to visit. A bit colder and rainier for my taste, but less crowds and beautiful flowers and amazing views all the way. Create your Paris bucket list and add to it some church celebrations and special events in the city. Notre Dame de Paris has special events during the Holy Week, starting on Palm Sunday, continuing on Holy Thursday, Holy Friday, Holy Saturday, Easter Sunday, and Easter Monday. Sacre-Coeur awaits visitors during the Holy Week (starting Thursday) with special masses as well. Spending Easter in the City of Light will be an amazing experience as, apart from the religious events, you can also do some shopping – numerous places have special offers. Moreover, Easter in Paris is a great occasion to visit the city – and you can create an itinerary for one day in Paris if you are on a citybreak in Paris. Most Paris attractions are open – so your trip to Paris will be complete! Don’t wait, book your Paris accommodation now! 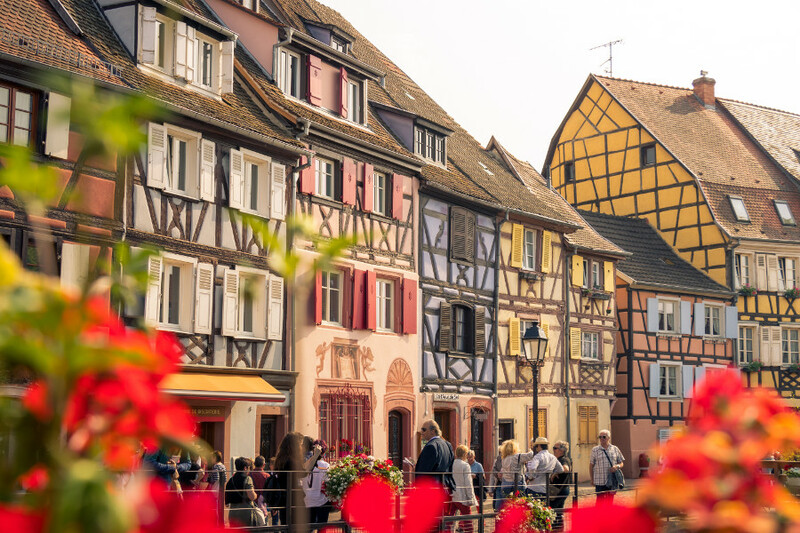 If you want to enjoy the beautiful architecture of Colmar and see the wonderfully designed houses and enjoy a Easter market in France, then head to Colmar. Here you have Easter and spring markets from 4th to 22nd April 2019 in Place Des Dominicains and Place De L’ancienne Douane (from 10am To 7pm – free entrance). Book your hotel in Colmar here. It may not be one of the most famous Easter destinations in Europe, but it can be a surprising one. Romanian’s celebrate the Orthodox Easter – so take that into account when planning your Easter in Romania. 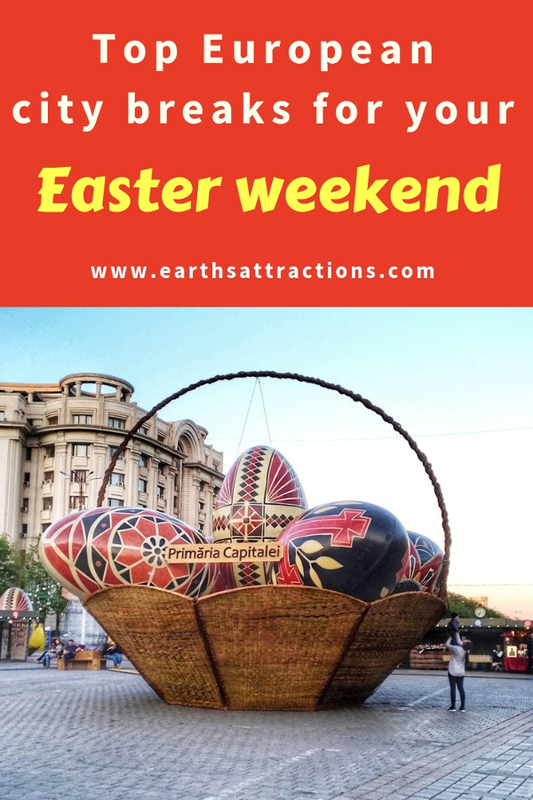 There is an Easter Market in Bucharest – it opens on Palm Sunday and lasts until Easter Sunday – in Herastrau Park (now called King Michael Park). Apart from this big Easter fair, there Easter atmosphere can be seen everywhere – in malls, other parks, shops… Book your trip to Bucharest now! If you want to experience all the beautiful Romanian Easter traditions, then choose a pension in the countryside, either in Moldova or Transylvania. From amazing food to lovely church ceremonies and the warmth of the locals, you’ll have it all. Natural. Different. Less commercial. Special. To remember. You can choose to stay at a monastery (cheaper accommodation, great food) and you’ll feel the warmth of the holidays. In the countryside you can experience the true spirit of Easter. You know I love Vienna – and the city loves Easter. There are several Easter Markets in Vienna, each with its charm. Perhaps the most famous one – and easier to see – is the Easter market in front of Schönbrunn Palace (read this guide to visiting Schonnbrun Palace). There is another Easter Market in the Old Town – Old Viennese Easter market on Freyung. It’s here that “the biggest tower of eggs in Europe is built with around 40,000 painted Easter eggs.“ Vienna is a truly amazing city, so book your trip to Vienna now and enjoy the best of what the city has to offer. The Easter Week in Sevilla is a great time to be here. 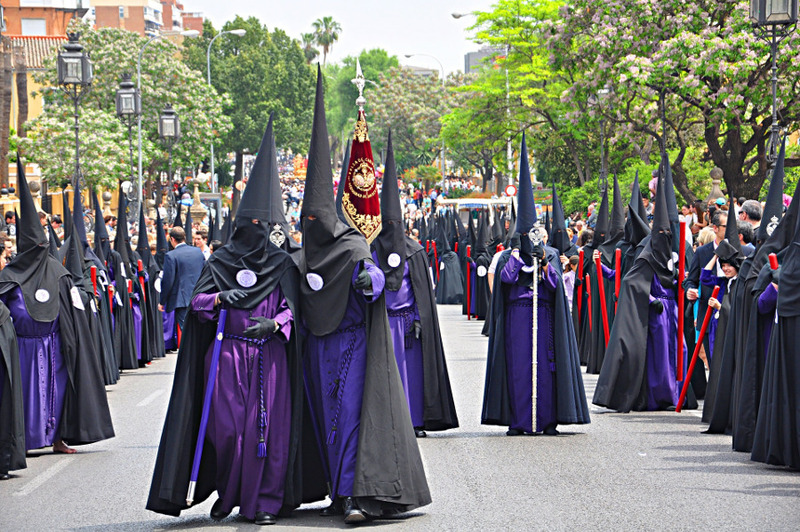 Semana Santa is celebrated throughout the country, but, if you visit Seville during Easter you’ll be able to enjoy the Easter celebrations that take place. During the Holy Week in Seville you’ll see the procession of pasos, wooden sculptures depicting different scenes or characters related to Easter. So, book your Seville hotel now – and read this comprehensive guide to Seville to discover what else to see and do in Seville on your trip. 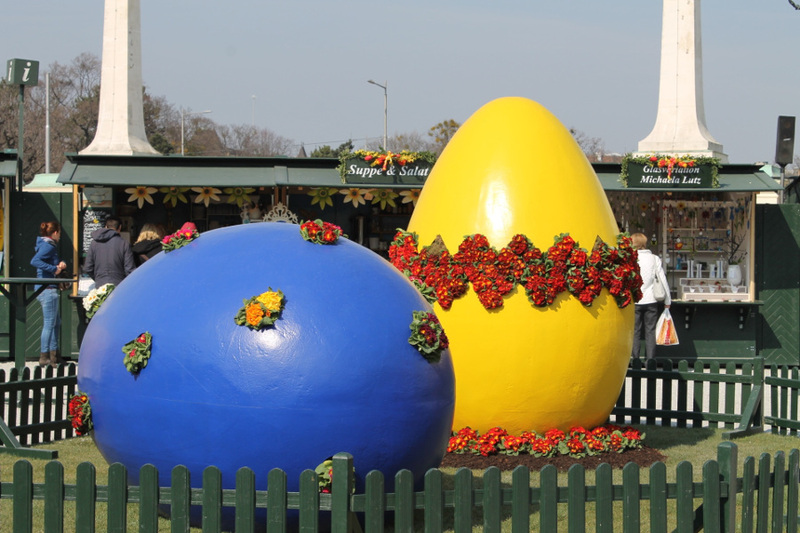 Easter in Germany is a time to discover great local food and to admire pretty decorated eggs hanged during Easter time. If you want to spend Easter in Berlin, then you should know that you’ll be able to enjoy a few events: the 49th Spring Festival at Kurt-Schumacher-Damm (March 29th to April 21st – a carnival with 60 rides), the Knights’ Festival from 20 to 22 April (all things knights :D), the Easter market on Alexanderplatz and the Easter market on Kurfürstendamm. If you want to explore the city, I recommend you this comprehensive guide to Berlin and to book your accommodation in Berlin now! If you plan to visit Lisbon for Easter, then you should know that you won’t be dissapointed. 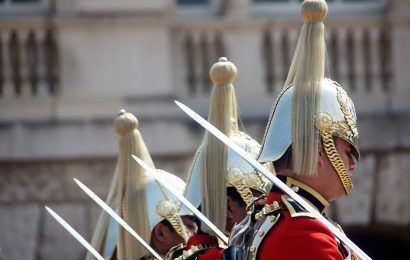 There are numerous attractions in Lisbon as you can see in this guide, but you can also attend the Easter Mass and enjoy the gastronomic Easter delights. Book your Lisbon accommodation now. As you can easily see, there are many great places to spend the Easter holiday in Europe. You can choose to go on your Easter weekend break, or to plan a longer trip visiting different cities and countries. 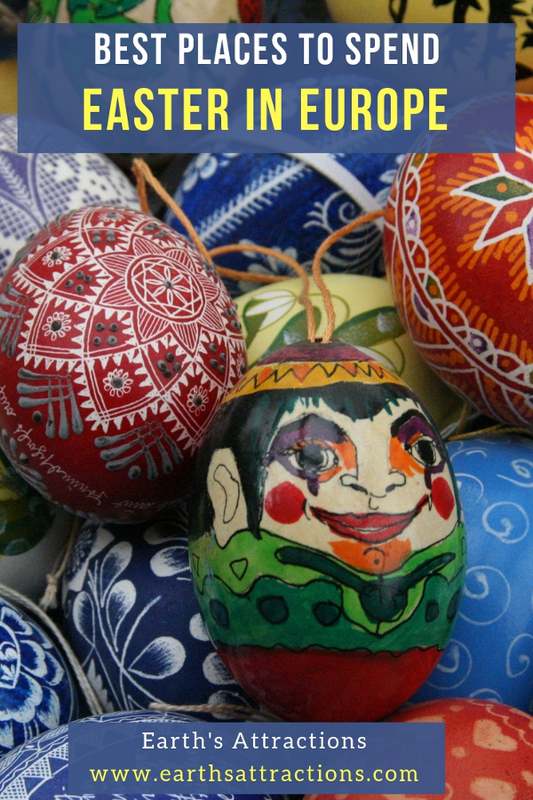 One thing is clear: there are numerous Easter celebrations in Europe you can’t miss, so you have plenty of ideas for years to come! 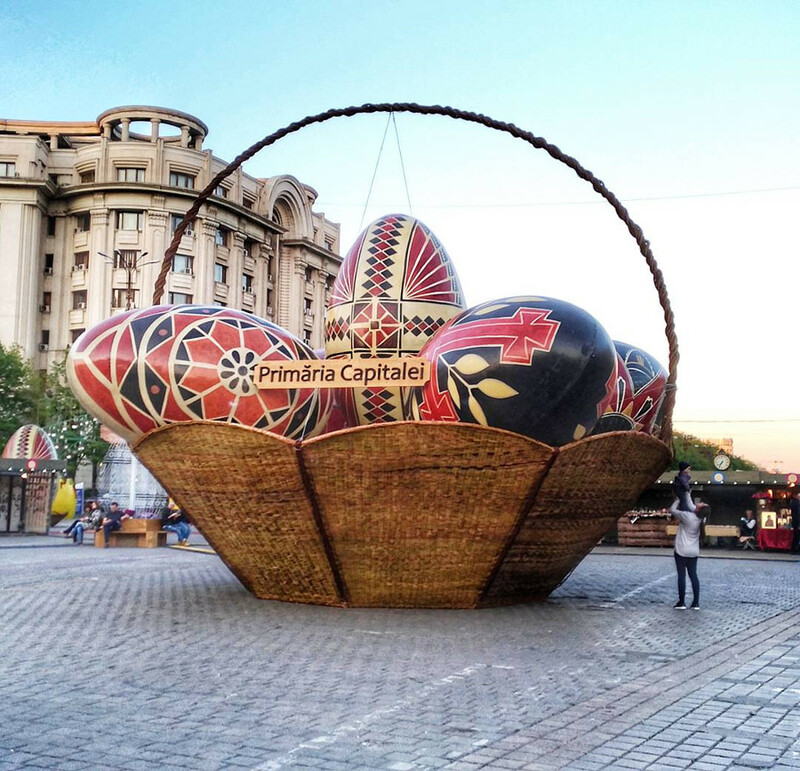 LOVE the Easter in Bucharest picture. These are all so interesting. Thanks for such a thorough post! this is great information. I had no idea Easter was such a big deal in Europe, and am enamored by all the colorful eggs! Note to self — plan a visit next year! This is a cool list! I think Rome might be really nice. Or that Colmar looks super beautiful. Didn’t even know there was such a place! The only thing is that I’ve already agreed to go on a skiing trip so this year I will have to stay in Finland. It’s so interesting to see how different cultures celebrate the same holiday! I’d love to witness the celebrations in Seville. I’m craving chocolate eggs now 😉 I’d love to visit Easter in Bucharest or Romania. Must be quite an experience!